A report which was launched at the Geography Teacher Educators' Conference in Oxford in January has now been released on the GA website. 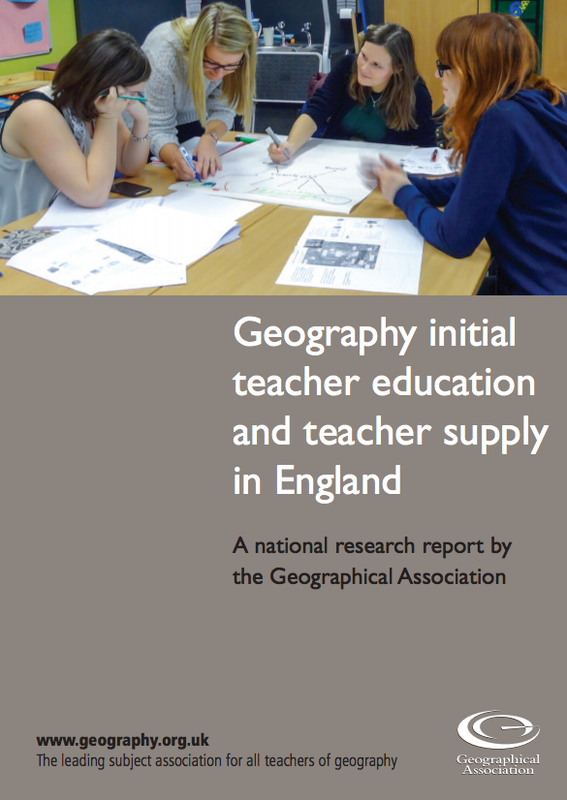 With clear signals of a looming crisis of teacher supply in geography, this report considers the impact of changes to ITE in England since 2010 and their effects on the quality and quantity of geography teachers being trained, and draws on a wide range of evidence to substantiate its findings and support its recommendations. Given that both educationalists and government agree on the ‘vital importance of good quality teachers’ to education in England, there can be no more important a focus for this first GA National Research Report. Excellent work by Andrea Tapsfield, Margaret Roberts and Alan Kinder.